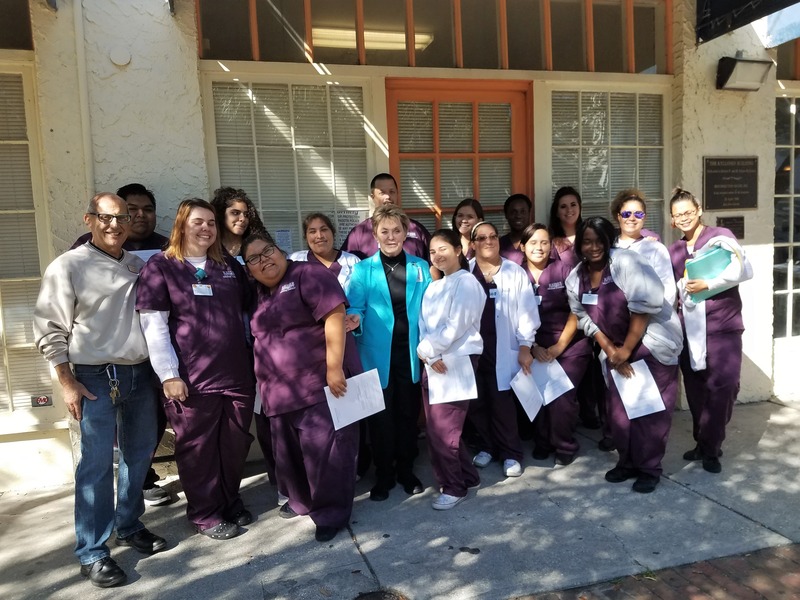 In Sarasota, Mrs. Mueller’s Medical Assisting students toured the Resurrection House in an attempt to familiarize themselves with the plight of the chronically homeless population in their community. 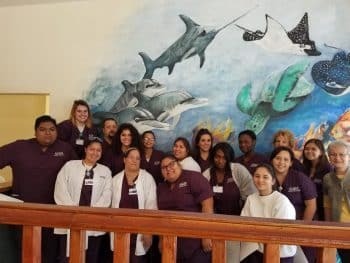 Joe Lucero, the director of the RH went out of his way to make the students feel welcome and was a wonderful source of information. 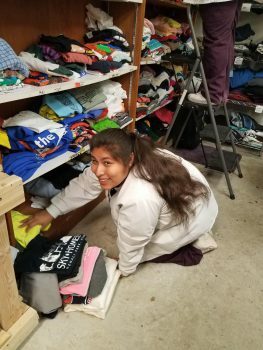 The students not only observed, but also helped out in the kitchen, at the front desk, in the laundry area, and also in the storage room with the donated clothing. A large number of students remarked how nice it was to help those who are less fortunate.